Have you been thinking of joining choir? Now's the perfect time! Our Choir Director, Jonathan Craft, will be giving lessons on the fundamentals of choral singing. Over the next few weeks, Jonathan invites you to attend these lessons, especially if you have ever thought about joining choir, and even if you don't think you can sing! 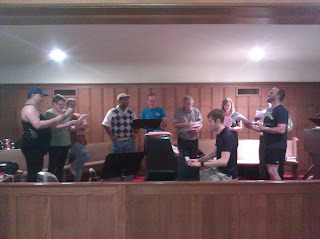 Choir meets every Wednesday at 6pm in the Sanctuary.